I love a lot of things besides books and Harry Potter. Okay, there may be a few mentions of books in here I can’t help it, but for the most part, I’m going to be discussing some of my favorite things that aren’t my small, precious children. Also known as books. First off, here are the rules for the tag. List the seven rules. I am missing some?! All right, enough procrastinating, let’s get into the seven things I am currently obsessing over! Hamilton songs, especially now that it’s fall. Maybe it’s because the album cover is a slightly fall-ish color. Maybe it’s because I’m in a nostalgic mood and what’s more nostalgic than the literal past. Or maybe it’s just because Hamilton is amazing and should be listened to at all times. Definitely the latter. First Burn: I know it’s not on the Original Broadway Cast recording, but it’s so incredible that I can’t stop listening to it. The Cabinet Battles (both): I really want to memorize these! Is it impossible? Likely. Will I try anyway? YES. The Schuyler Sisters: I believe the above gif says it all about that song. Non Stop: THIS ONE IS ALWAYS SUCH A JAM, no matter what. The bookstagram that I just created yesterday! I’m so excited to announce that I have just joined the bookstagram community! (As of only a few hours before this post was published.) I can’t wait to get better at taking photos of books, do Instagram stories, meet new people, and discover new books. Friends, because I’m never over it. Even though I finished Friends over six months ago, I still just watching and rewatching it. And rewatching it and rewatching it. I love how genuine the friendships are (see I love friendships in TV shows just as much as friendships in books! okay maybe a little less but still), it makes me laugh out loud 100% of the time, and Phoebe is my spirit animal. If you’re looking for a new show that can be both entertaining and occasionally emotional, I would highly recommend friends. Ice cream as a late night snack. I am 100% stealing one of Annie’s items here, but only because I agree so much with her pure genius. 😉 Lately, I’ve been really enjoying having ice cream after dance and dinner and homework. It’s probably a habit I need to break, but…it’s just too good. There’s something about the way the leaves change (in the fa-a-a-all), the crisp air, the pumpkin spice flavor, and the sweaters and boots that just makes my heart so happy. Even though it hit the high 80s where I live yesterday, I still have hopes for a nice, chilly winter filled with reading by the fireplace and lots of traditions. 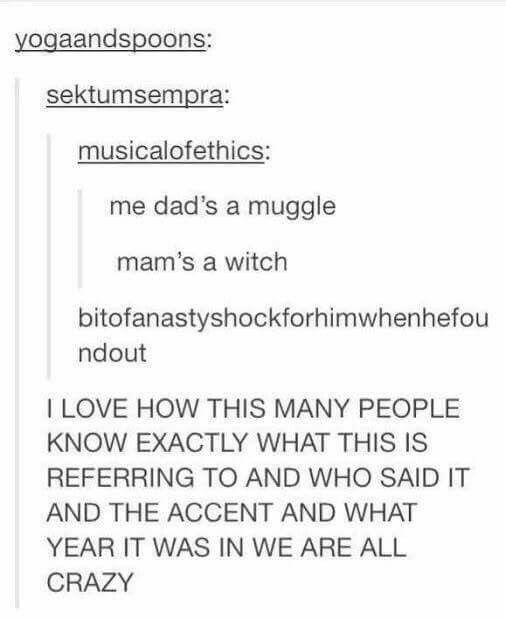 I’ve been loving Pinterest, especially random funny things I see on it and also Harry Potter pins. I couldn’t do it, y’all. I couldn’t go a post without mentioning Harry Potter. One day I’ll do it, and will be simultaneously proud of myself and also disappointed. I could keep going, but for everyone’s sanity I shall end here. Although can I just question why everyone on Pinterest is in that one font?! I have never noticed until they’re all here together, but it’s literally all the same font. My new favorite Bible verse, Proverbs 31:30. I have always loved Proverbs (and Psalms), but especially Proverbs 31. Recently, I came across a gem of a Bible verse that I now have written on my bulletin board and is my absolute favorite. The reason why I love this so much is that it focuses on what’s really important. It’s easy to get caught up in having the perfectly likeable personality, or focusing too much on outward beauty, but what’s really beautiful is loving the Lord. It’s definitely a verse I strive to live by every day! Well, that concludes my post. Thank you again to Annie for tagging me, and now for the seven people I tag! As always, no pressure whatsoever to do this, I just love tagging people to show my appreciation for all the wonderful bloggers out there. Do you have bookstagram? Are you as obsessed with Pinterest as me? What’s your favorite ice cream flavor? I’d love to chat with you all in the comments. Photo by Alex Geerts on Unsplash >> Credits for the image I used in my featured image, many thanks to the photographer! September Recap // I’m Back From Hiatus, Giveaway Winner, & It’s My Fave Month! That’s so exciting that you’ve made a Bookstagram!! If I had one, I’d follow you in an instant but I will just have to send you all the good vibes from here on WordPress😁 I hope you have the best time in that community! AND FRIENDS! Olivia, that is my all time FAVORITE show. I can watch it forever and ever honestly, aghh it’s the best💗 I’m glad you enjoyed it and that you still are!! Thank you! Awe, that’s so kind of you to say- if you ever decide to join bookstagram, I will follow you right away. You just joined book twitter, right? I hope you’re having fun with that! FRIENDS IS THE BEST. Who are your favorite ‘friends?’ I love them all, but my top two favorites have to be Phoebe and Chandler. Yay! I’m actually listening to Nonstop right now, and it’s SO GOOD! I’m on instagram @litaflame (I’m going to start doing more books, just trying to figure out my theme and background) – which means you just got yourself a follower! And I LOVE using Pinterest for my stories and characters! (come NaNo month I’ll be opening one of my board to that month’s project for the WORLD to see!). I’ll have to say Cookies’in’cream, or rockyroad, actually I LOVE pretty much every flavor. Icecream is AWESOME. I’m so glad you’re on instagram! Super excited for ya!!!! Pinterest is the best! Best of luck with NaNo month, and using Pinterest for your stories and characters. i agree with 100% of the views expressed in this post. fall? ✔ hamilton? ✔✔ harry potter memes?? yes of course!! AHHH ABBY, YOU MAKE ME SMILE SO MUCH. I AM HAVING ALL THE EXCITEMENT OVER HERE TOO.🙈Do you have a bookstagram?! If so, I would love to follow it. i don’t!! hoping to start one soon, but i’ll have to get my parents on board first 😉 i just really like stalking bookstagrams solely because books + aesthetics = BOOKWORM HEAVEN. YES! i’m not hamiltrash but i still really like it *laughs nervously* nonstop is definitely my favorite, i love how they combine all these songs into one really good one??!!! i’d seen it somewhere before but didn’t watch it until just now 😂 the memes they showed him weren’t that funny?? they could have chosen better ones i guess, but he was so sweet in that he was a good sport. 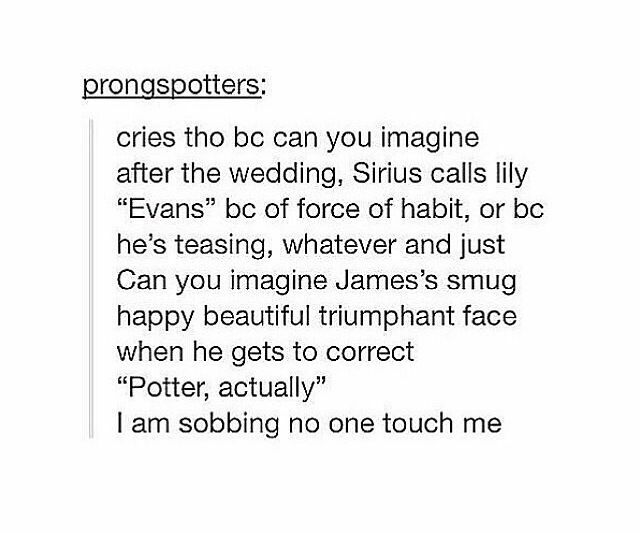 BUT HERMIONE DANCING THO. I LOVE NON STOP. IT’S 6 MINUTE AND 25 SECONDS OF PURE HEAVEN. also this sounds really fun! can you tag me too? Honestly, I think that’s the best way to describe my relationship with Pinterest. XD I need to try Rocky Road, for some reason I literally have never tasted it?! Thank you so much!💓HAMILTON IS THE BEST. WAIT ACTUALLY YES. I ADORE LAFAYETTE. YESSSSSSSSS. And alexander the burnt and roasted ham. Eliza burnt the ham Angelica roasted the ham. GET IT? Thank you so much, Carolina!💕Oh my goodness, your bookstagram is gorgeous, I’m in love with it. Ooh good luck with you bookstagram! 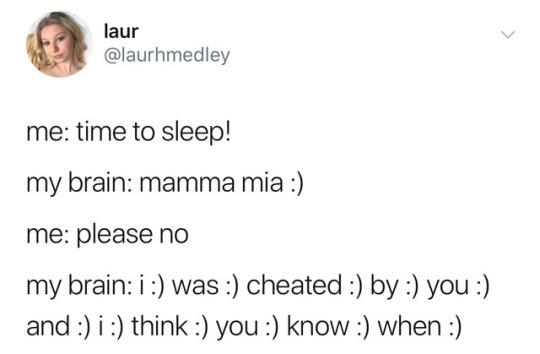 I’m sure it’ll be amazing…Also I was cracking up at all of your Pinterest pins…the Mamma Mia one is so so relateable 🙂 Yes, ice cream is 100% the best late night snack!! Thank you, Em! Haha, all those pins just make me laugh so hard, and every time I see the Mamma Mia one I start…singing Mamma Mia.😂Ice cream for the win! Yay, congrats on starting a bookstagram! I’ve been meaning to start a writing instagram and post bookish pictures, but I just haven’t gotten around to it yet. It’s so much fun how exciting looking at beautiful pictures of books can be! Also, bring on the fall. It’s still really hot, and I’m just ready to snuggle up in a blanket. Thanks for the tag Olivia! Omg Pinterest is the best (fyi I’m pinning like all of the ones you have here) and I love First Burn too!! I think Wait For It is my favorite Hamilton song but there are SO MANY I LOVE GAH. 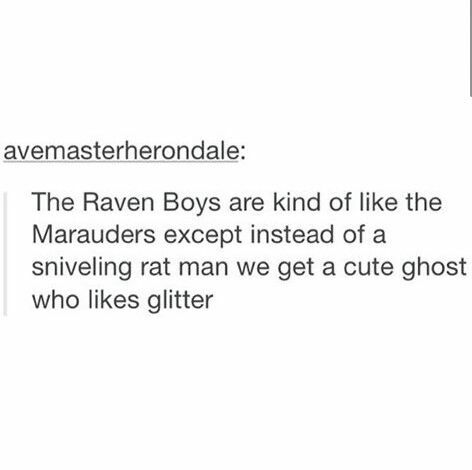 haha I love the little arrows you put in your blogs, they’re adorable!loved this post! YES, OF COURSE. MENTION BOOKS TO YOUR HEART’S CONTENT. 😉 You’re welcome, I’m so excited to read your post! I spent what was probably a whole year learning every single word to Hamilton, and I still lag a little behind Lafayette when it comes to Guns and Ships! That’s so impressive! I still sadly do not have the entirety of Hamilton memorized. 😉 I just can’t get Guns and Ships down, either! You’ll get there faster than you think! The first one I memorised entirely was My Shot, and then rest came surprisingly quickly after that 🙂 It’s the pace that I mess up on! I know all the words but Daveed Diggs is just too fast. oooh yes a post! sorry i have been absent- also. just LATELY?! started enjoying ice cream?? hahahhahahah jk:) hope everything rocks!! Haha, you’re good. And okay, so maybe not just recently?! Maybe like since birth. I don’t have an exclusive bookstagram, but I do post books every now and then! Thank you so much, Kimberly!💓Oh my, Hamilton is so amazing. I wish I could see it…it’s coming to my city in the spring but it’s so expensive so I won’t be seeing it live- but I love listening to the soundtrack anyway. 😉 If you listen to it, let me know though, it’s amazing! Bookstagrams are sO FUN! Before I got one I was constantly stalking all of them. XD AND THANK YOU, AWE. *hugs you* *screams* Ahh, if you ever get IG, I will look forward to following you and seeing all your lovely pics! I love ice cream in the autumn/winter too! We are just weird like that I guess, hehe. It’s so comforting to eat something cold when it’s cold outside, I have no idea why. AWW MALANIE, YOU’RE JUST THE BEST. Yay, thank you! I’m so excited too.💗Yes, and yes! Ahh, yes, those shows ARE the best. I need to find more of them. 😉 Thank you so much Ilsa, you are the kindest and your bookstagram is so beautiful! Fall and ice cream are two of my favorite things, and I am so happy you agree. XD Thank you for your comment! Whaat, there wasn’t seven rules? I completely missed that while writing my post. Haha, I’m not sure where that one rule fell through the cracks. Some honesty: I’ve listened to some of the Hamilton songs, but I’ve never gotten into it. I do want to watch it though- I’m pretty sure somebody mentioned that an edition (that’s probably a very incorrect term) of it is coming to where I live at one point in the near future, and it would be a dream to go see it. I know we’ve talked about Friends before, and I’m not sure what I said but anyways: I watched the first episode (I also watched the first one of The Office and Parks and Rec and New Girl). I think I’m going to alternate between watching episodes of This is Us and Friends/The Office. YES, ice-cream. What flavor and brand is gracing your fridge right now? Haha nah, I don’t think it’s needs to be broken. ;)) And as I mentioned, coffee is my favorite flavor. I also love vanilla ice-cream cones- the cheap kind, not the waffle cones. Oh my goodness, that picture is so cute. It just got cold here, and I wore a sweater yesterday and a sweatshirt today- it got a little hot while I was inside, but it was still amazing. I love Pinterest. The pins that you included are hilarious, and yes, I know exactly what you’re talking about the font. My entire Marvel board is filled with that font. I try not to use Pinterest doing the week because of how long I know I can get stuck pinning- it’s just fun. Oh my yes, that’s a verse I want to live like too. There’s a whole phrase coined around that chapter- a Proverbs 31 woman- have you heard that before? And also, thank you thank you for doing this tag. It’s so fun to read! I would be very fine with people putting these in my feed. Hamilton definitely isn’t for everyone! It took me a while to listen to the whole thing, and that was when I really got into it. (And got to the obsessive state I am currently in.) Yes, it’s coming to general city-area this spring, but tickets are so expensive. Oh well, I’ll have to settle to listening to the soundtrack. Yay, FRIENDS! I started The Office recently too, and I like it, but Friends is more my sense of humor. (Besides all the inappropriate jokes.) I also watched the first few episodes of This is Us, but then my free trial of the NBC app ran out, so I had to stop. My mom watches it though! Right now, my freezer contains The Great Divide from Blue Bell. Simple, but delicious. XD What about you? Ooh, I love vanilla cones, especially ones from Chick Fil A.
Haha, thank you! YES, it’s finally getting cold! Apparently where I live we are about to get a major cold front and tomorrow my dad said it’s going to be in the forties. I CAN’T WAIT. I’m so excited to wear a sweater and boots to school! Pinterest is the best! I’m so happy you understood when I said ‘the font.’ Yes, if I start pinning, it’s so hard to stop. I have! Proverbs 31 is one of my favorite parts of the Bible. Thank you again for tagging me! I had so much writing it. Ah, the lost seventh rule. Okay okay, maybe I just need to listen to it some more. Ha, I just assumed tickets would be a manageable price because of how long it’s been, but after hearing you say that, I definitely think you’re right. Ahhh, you’re welcome! That is so thoughtful of you to ask, thank you- but nope, I am completely comfortable with it. Oh no, I was planning on watching it on the NBC website, but I’m guessing that probably has a free trial too. Well, I guess we’ll see. (I’m realizing that I don’t really think through the logistics and problemts of things.) Oh, cool! I’ve heard from my friends that it’s really emotional and really good. Ooh, yum. I have a fresh tub of that coffee ice-cream right now. Yes, the Chick Fil A ones are good! One time they gave me the ice-cream in a big drink cup, and it was very strange and a bit disappointing- but it also made me laugh. ME TOO. I will not be wearing a sweater and boots to school because uniform, but I will be wearing my big volleyball sweatshirt and then all the sweaters on the weekend. I hope the website doesn’t! I should check, that way I can watch more of it if it doesn’t. I only watched three episodes, but I cried in all three of them. Ahh, fresh tubs of ice cream are the best. I don’t know if this is just me, but freshly bought ice cream tastes different to me than ice cream that’s a couple weeks old?! Haha, that’s so funny. Oh, you have uniforms? I would actually kind of like uniforms, because it’s always a struggle to pick out what I want to wear. But then again, if I did have them, I would probably complain. I go to public school, though, so there’s not a large likelihood I’ll ever have to have uniforms. Okay, now I’m ever more looking forward to watching This is Us because a) I feel like a show that moves you to tears cannot be a bad show b) there’s something about crying while watching or reading something that releases stress and leaves more positive emotions behind. Haha hm, I haven’t thought that before. I have thought though that the last bites of ice-cream at the bottom of the tub can taste a bit strange. More thoughts on first and last bites: the first bite of an apple (that is not cut into slices) is the best and the last bite of a sandwhich is the best. Yes, I do! I like having uniforms for that reason. I basically wear the same exact thing every day. Hahaha, I know what you mean though- always want what you can’t have. Oh, yes, it does taste strange but I never know exactly why. THE LAST BITE OF A SANDWICH IS THE BEST. And sometimes the first lick of an ice cream cone is just the best thing ever. I KNOW. 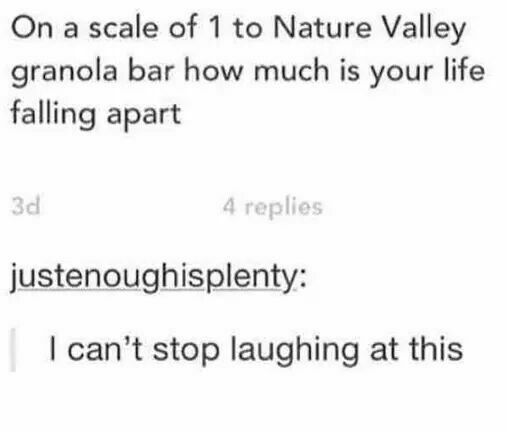 Haha, I would say that the first lick of an ice-cream cone to the last bit of the cone with all the ice-cream in the cracks to everything in between is the best thing! Congrats on joining Bookstagram! Looks like you have some great pics there. And I love the verse you featured.